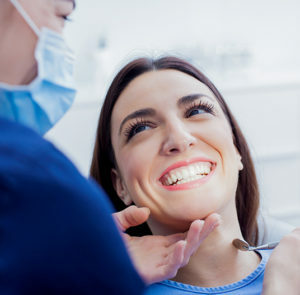 Receiving regular dental care ranks as a vital part of protecting your oral health from the effects of tooth decay and gum disease that can permanently damage the health and appearance of your smile. That’s why at Northfield Family Dentistry, we’re current offering a $89 Dental Exam, X-rays and Cleaning Special. Frequent dental exams provide our doctors with the chance to spot the early signs of dental decay and disease that can permanently impact the health of your smile. Take advantage of our $89 Dental Exam, X-rays and Cleaning Special by contacting our office to schedule your appointment today. Getting the healthier, better looking smile you’ve been dreaming of has never been more affordable as you can now save $500 Off on Invisalign orthodontic treatment. Invisalign can dramatically improve the health of a smile affected by crooked, crowded or misaligned teeth. Don’t wait to start smiling with confidence by taking advantage of receiving $500 Off Invisalign orthodontic treatment today! Unlike the metal brackets and wires of traditional braces that standout, Invisalign treatment straightens teeth using clear plastic aligners that blend seamlessly into your smile. Invisalign also offers a number of additional benefits when compared to metal braces, including the need for fewer office visits and shorter treatment times. Don’t wait any longer to start seeing the benefits of Invisalign. Contact our office today to schedule a consultation and to take advantage of $500 Off Invisalign treatment. *$500 discount only applies to full fee cases and not contracted pricing. Other restrictions may apply. Dental implants make an ideal treatment option for patients missing one or more teeth. To make it easier than ever for our patients to restore their smiles back to health, we’re currently offering $300 Off on Dental Implants. Don’t deal with the problems eating, drinking, talking, and smiling with confidence caused by missing teeth any longer. Schedule your dental implant consultation with our team at Northfield Family Dentistry today to save $300 Off Dental Implants. Dental implants take the place of a tooth root damaged by dental decay, disease or trauma. Made from rods of incredibly durable metals like titanium, implants are surgically placed into a patient’s jawbone. Once successfully fused, implants offer exceptional support for the placement of a dental crown, bridge or dentures. Find out firsthand the difference dental implants can make to the health, function and appearance of your smile. Take advantage of receiving $300 Off Dental Implants by scheduling your consultation today. Please indicate your preferences below and we’ll do our best to accommodate your needs.